Recently, I talked with the forward-thinkers and machine learning scientists at the AI Summit in San Francisco. How to connect the power of AI to the enterprise is an open question facing all of us, experts and those connecting the experts with business problems. There are so many possible applications, and everyone is trying to get in on the game. At PwC, we estimate AI will drive global GDP gains of $15 trillion by 2030, but companies are all over the map. In our survey of CEOs, 24% reported they were already using AI, and 21% said AI was a priority, but the rest said they were only aware of or evaluating AI. What’s slowing companies down from seizing this opportunity? Working with clients and others in the industry, I frequently encounter three barriers to AI adoption: unclear leadership, picking the right problems and access to skills. When it comes to leadership, the problem is not a shortage of leaders, but too many, with unclear, overlapping responsibilities, which really means no one in the enterprise “owns” AI. In PwC’s Digital IQ study, we’ve asked the question, “What percentage of technology spending is outside the CIO’s budget,” and the number has climbed steadily from 35% to 50% to 68% in our most recent study. There’s no single technology leader in the enterprise anymore. Every functional area now invests in technology outside the sphere of the CIO: marketing, finance, the product team, sales and others. New roles in the c-suite also make the lines fuzzy, such as when a CDO overlaps or clashes with a CIO. Those leadership conflicts will hamper all a company’s investments in emerging technology. When I see stalled investments in emerging tech, it’s because one department raced ahead, or the IT organization adapted too slowly. They need to be in sync to think through data access and management, cybersecurity, regulatory compliance and other issues. And in organizations with many, well-established data and analytics teams, somebody in the c-suite needs to bring their AI efforts together. Clarifying who owns AI is a start, but as soon as that person sits down at their desk, they’ll be faced with dozens of potential AI pilots and applications. Our AI study shows that 67% of business executives see the potential of AI to automate processes and increase efficiency. And 70% agree that AI has the potential to enable humans to concentrate on meaningful work. However, what that often means is an analytics team – or many diffused analytics teams and innovators – is working on lots of small projects on the fringes of the core business but not on fundamental work that will move the needle. These pilot projects may even push the envelope in machine learning science, but they often fail to get the attention of senior leaders. What parts of our business generate a lot of revenue but have lower than desired margins (and therefore could be more automated)? What work do our people do that they don’t particularly like? Where do we make a high percentage of errors in our work? Exploring these types of questions, coupled with the data and technique driven approach, will yield a more engaged business and maybe more impactful applications of AI. In all but the largest or most data-focused companies, picking projects to work on across the enterprise is often hampered by a shortage of AI brainpower and talent. In PwC’s Digital IQ survey, only 20% of executives said their organizations had the skills necessary to succeed with AI. Companies with many analytics teams spread across different business units and functions often see these teams vary greatly in size, capability and skill level. Some are eager to tackle AI; others are not. 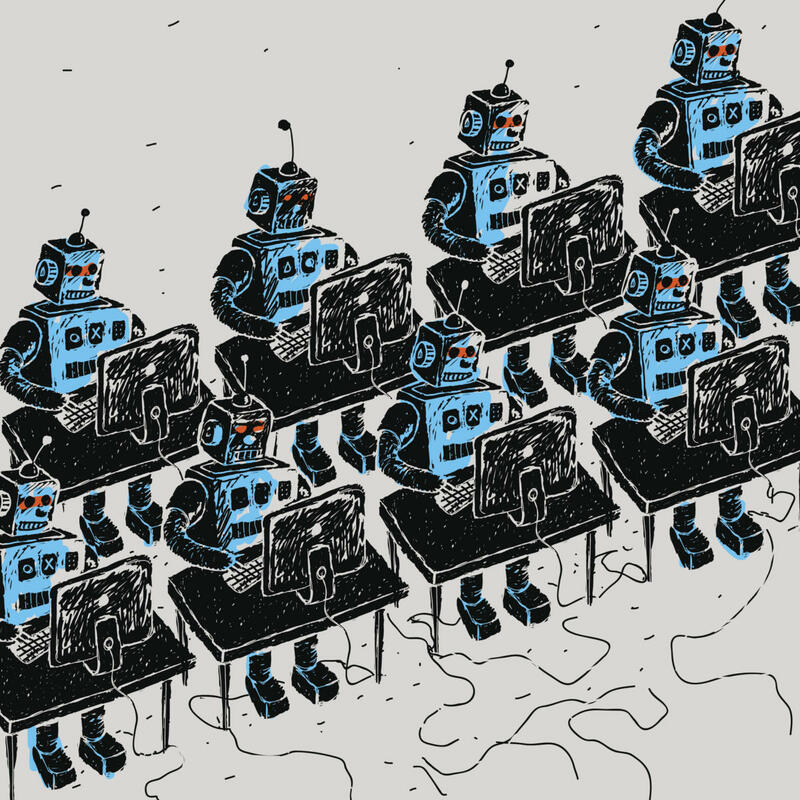 Usually, most of the machine learning talent lives in a few teams, but the demand for machine learning skills is growing fast across the organization. If the company has an executive who “owns AI,” her task is both (1) to help these teams work together, learn from each other and share knowledge; and (2) to add more AI skills to the talent pool. Sometimes that means hiring or acquisitions, and other times it means sourcing innovation from outside the organization. In PwC’s Digital IQ survey, only about 43% of companies have a dedicated team for digital innovation. In an environment where AI talent is scarce and in very high demand, many companies are scouting innovation from third party sources, such as university labs, the open source community and hackathons, as well as incubators and accelerators. Communication is the key. Often, for the machine learning experts and the technologists, the exciting part of AI is the dataset or the algorithm, or the application. But to implement AI across the enterprise, it’s often more useful to talk about automation. In other words, efficiency and the bottom line. Making employees’ jobs easier. Leaders: Identifying energetic people within the organization with excitement, budgets and ownership over AI. Problems: Picking projects that extend beyond individual business units and serve the whole enterprise or those explicitly part of corporate or business unit strategies. Sourcing: Scouting ideas and talent from inside and outside the organization and sharing lessons and scare expertise. Communication: Learning to think and talk about AI within the organization. When it’s time to go beyond small-scale AI pilots, think about the business context surrounding the project, and the whole company can get behind it. Chris Curran is Chief Technology Officer at PwC New Ventures responsible for technology strategy and innovation. He designs and leads the implementation of high-value technology initiatives in the consumer products, property and casualty insurance, internet banking and health insurance industries.